Heading up the 2253LW's feature set is MagicBright3. It's just the latest in a long line of dynamic contrast technologies. Just like systems from competing manufacturers, MagicBright3 adjusts backlight intensity on the fly. 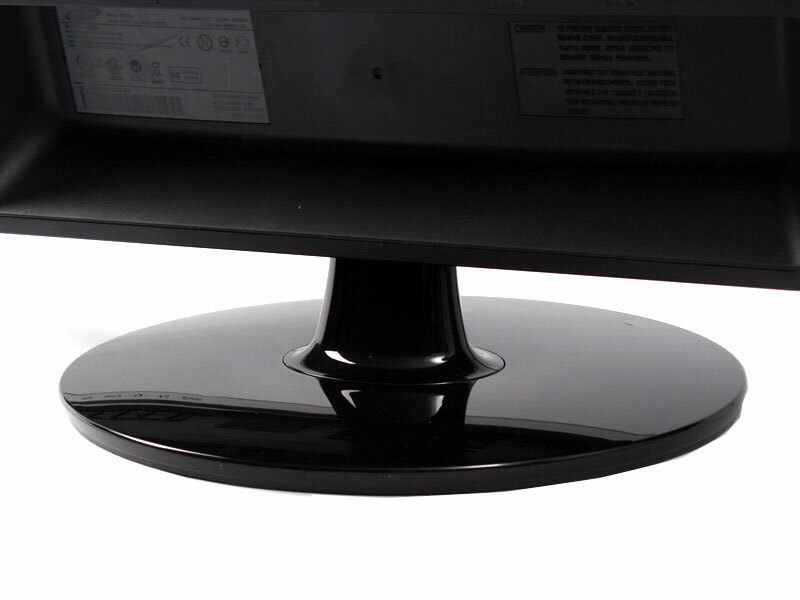 As the image data sent from the PC brightens and dims, so does the backlight. The result, in theory, is a knock-out combination of deep, inky dark tones and vivid brightness for daytime scenes in games and movies or desktop work. With MagicBright3 enabled, Samsung reckons the 2253LW is good for a staggering 8,000:1 dynamic contrast ratio. However, our experience of such systems to date has been rather underwhelming. It will be intriguing to discover if MagicBright3 represents any kind of advance. 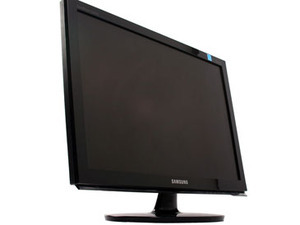 Another familiar technique often seen on TN monitors is colour enhancement, which in Samsung parlance is known as MagicColor. The gist here involves analysing the image data and then applying colour enhancement with the aim of boosting vividness and saturation. On paper, this ought to be a welcome technology. After all, TN panels are typically pretty sludgy. But as with dynamic contrast techniques, the reality is often pretty wonky and unsatisfying. Once again, the onus is on Samsung to prove that its colour enhancement technology is better than the rest. Those features apart, the 2253LW is a pretty conventional beast. The 1,680 x 1,050 native resolution, 2ms grey-to-grey pixel response, 16.7 million dithered colours and 300 cd/m² brightness are absolutely standard in this segment of the market. Similarly, the DVI (with HDCP support) and VGA connectivity options and cheapo tilt-only chassis are predictable enough. An HDMI port is the only significant omission, which we would have liked to see on a display like this. 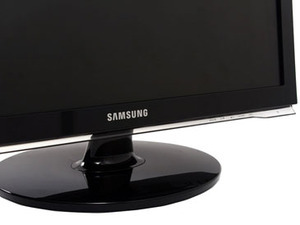 It’s also missing component, composite and S-video connections too, but monitors in the sub £250 space do not usually offer a full suit of analogue input options. Still, at least the attractive, glossy-bezelled enclosure is a cut above the norm. Along the bottom edge of the bezel there’s a clear plastic strip, behind which there is a selection of buttons to control the display’s functions. 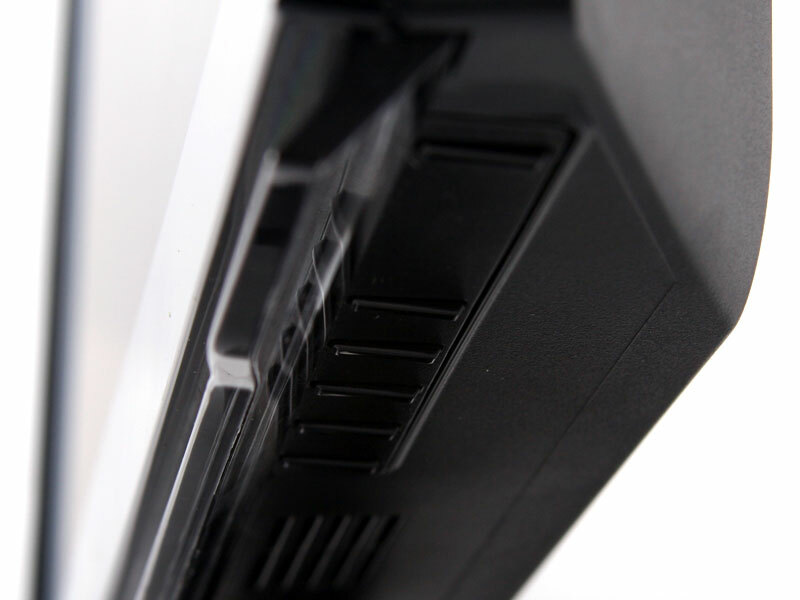 The buttons themselves are positive and work well – the only thing we have against them is the fact they’re located behind the clear plastic strip and they’re a little difficult to get to once the display is on your desk. Or at least, they’re not as easily accessible as they should be. It looks like a clear case of form over function – the labels for these buttons are on the plastic strip and there’s a blue LED embedded into the power button. This lights up when the display is turned on. The only other noteworthy feature in this design is the rather unique way in which the display connects to its stand – instead of using a plastic clip (which is often prone to breaking), Samsung secures the display to the base with a screw fitting. And what makes it especially welcome is the fact that it’s completely tool-less. Your PC or notebook has no extra display outputs? How about connecting your monitor up via USB then? LG's L206WU is a stylish little number that can do exactly that and more.